Was Yitro emblematic of a fantasy island scenario or was he in fact perfect, not needing any altered reality to bring him back in line? Growing up, there was a wondrous show that I would watch with my family on Saturday nights. It was called "Fantasy Island." Despite the seeming innocent name, it was quite a frightening show. The premise was that each guest to the island would embark on a chosen fantasy but unbeknownst to them their fantasy was really about confronting their actual reality, that is a reality that they faltered upon in the past and now needed to rectify. This was no fantasy but a reality to the greatest degree. Looking at parsha Yitro, one may ask whether Yitro was emblematic of a fantasy island scenario or was he in fact perfect, not needing any altered reality to bring him back in line. The answer is quite obvious. Where other nations faltered in facing the might and Divinity of the Jewish nation, Yitro recognized it immediately. Unfortunately, even the Jews faltered in embracing the Divine reality, though they are still characterized as a nation that followed G-d in a barren desert. 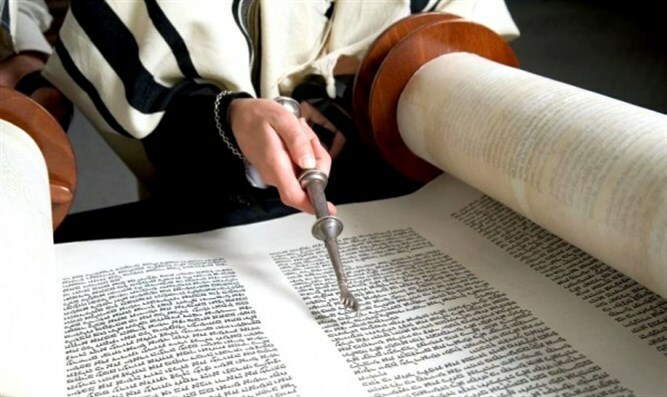 The Torah uses the language, "vayichad Yitro." The language is telling. It immediately thrusts the notion forward that he believed in "chad," the oneness of G-d, and like Rashi explains, he felt great joy and inspiration from G-d's mighty miracles and revelations. Furthermore, the name "Yitro" if rearranged can be read as "Tori," metaphorically to mean my Torah, to mean, Yitro became in individual banner for the Torah. Yitro has a parsha named after him for good reason. He reached perfection without having to face an alternate reality. His fantasies were truly glorious and majestic, and he went on to become a key figure to alter how G-d's law was administered, not a coincidence for someone who could tune into reality with no interference.